Happy Mother's Day to everyone! I will be spending my mother's day cooking for everyone (I hate, hate, hate to cook). It was my youngest daughters 18th birthday yesterday, and we will have my dad and stepmother over, along with my girls, so Mother's Day always feels like a whole lot of work for me. Definitely should have waited another week to have that baby. I start my new job tomorrow, complete with an 1 hour and 15 minute commute, so I'm considering subscribing to Audible.com. Does anyone use it? Worth the money? I have trouble listening that long, but I'm hoping it might improve my attention skills. It was a great book week for me. I was chosen to be a blogger for the Booksparks Summer Reading Challenge, so I'll include those books on my weekly haul list going forward. They have some great picks so I'm really excited to participate - plus I love getting books in the mail! 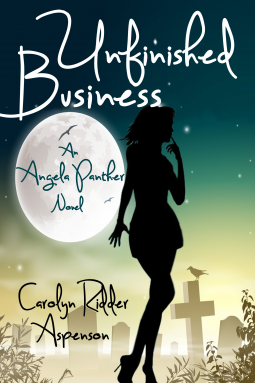 BUSINESS AN ANGELA PANTHER NOVEL, #1 AMAZON bestselling author Carolyn Ridder Aspenson introduces her now trademark blend of witty dialog and hilarious banter in the first book of her paranormal, chick lit Angela Panther series. Filled with romance, Aspenson brings the series into the cozy mystery genre, tying the genres together with humor and heartwarming fun. When Angela Panther's mother Fran Richter wakes her up in the middle of the night ranting about stolen Hershey Bars, Angela thinks her mother's got a screw loose. And then it hits her. Her mother is dead. Just a few hours before, Angela watched as the funeral home staff nearly dropped her mother's body off the gurney while sliding her into the hearse. So maybe she's the one that's nuttier than a fruitcake? But Fran keeps popping in and with a volcano full of drama already brewing at home--crazy or not--Angela's grateful for her mother's presence. It's the other ghosts Angela can do without. Seems Fran's return opened a portal between Angela and the other side and ghosts are hitting up the reluctant psychic medium for help. From the naked British guy juggling balls in the coffee shop parking lot to the woman desperately trying to save her sick child, Angela must find a way to balance her own life with the unfinished business of the dead. This book was a finalist in the 2014 RONE Awards from InD'Tale Magazine. This looks like it will be a cute, fun read. Sounds like a paranormal Stephanie Plum novel? content with her life in New York City: she has four children, a handsome surgeon husband, and good friends. This life she has built is shattered, however, when her husband Charles announces he has accepted a job in Elliot, New Jersey, and that the family must relocate. Lainie is forced to give up the things she knows and loves. This looks like it will be one that you can't put down. 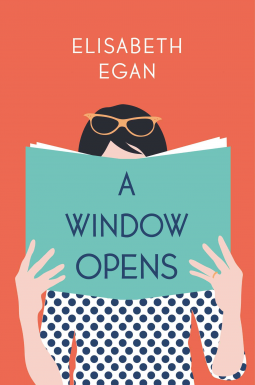 brings us Alice Pearse, a compulsively honest, longing-to-have-it-all, sandwich generation heroine for our social-media-obsessed, lean in (or opt out) age. Like her fictional forebears Kate Reddy and Bridget Jones, Alice plays many roles (which she never refers to as “wearing many hats” and wishes you wouldn’t, either). She is a mostly-happily married mother of three, an attentive daughter, an ambivalent dog-owner, a part-time editor, a loyal neighbor, and a Zen commuter. She is not: a cook, a craftswoman, a decorator, an active PTA member, a natural caretaker, or the breadwinner. But when her husband makes a radical career change, Alice is ready to lean in—and she knows exactly how lucky she is to land a job at Scroll, a hip young start-up which promises to be the future of reading, with its chain of chic literary lounges and dedication to beloved classics. The Holy Grail of working mothers—an intellectually satisfying job and a happy personal life—seems suddenly within reach. I want to go to a literary lounge. I have no idea what it is, but it sounds awesome. Victor, to await the inevitable. As weeks turn to months, their daily routine—Elise at the hospital with her father, Scott pretending to work and drinking Victor's booze—only highlights their growing resentment and dissatisfaction with the usual litany of unhappy marriages: work, love, passion, each other. But then Scott notices something simple, even innocuous. Every night at precisely eleven, the lights in the neighbor's bedroom turn off. It's clearly a timer . . .but in the dead of winter with no one else around, there's something about that light he can't let go of. So one day while Elise is at the hospital, he breaks in. And he feels a jolt of excitement he hasn't felt in a long time. Soon, it's not hard to enlist his wife as a partner in crime and see if they can't restart the passion. This looks so creepy. The perfect winter read. she be sure which one? 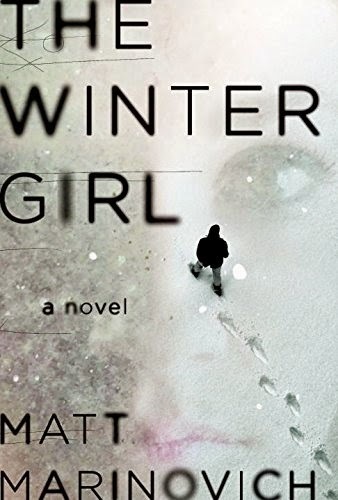 This looks so good that I'm even willing to ignore the fact that the blurb on Amazon compares it to Gillian Flynn. STOP comparing everyone to Gillian Flynn. She is awesome, so are other authors. Let them be who they are. The Year My Mother Came Back by Alice Eve Cohen....see my review here. Apart, an evocative and emotionally resonant coming-of-age novel involving three friends that explores what it means to be happy, what it means to grow up, and how difficult it is to do both together.The summer he’s fifteen, Sam enjoys, for a few secret months, the unexpected attention of Suzie Epstein. For reasons Sam doesn’t entirely understand, he and Suzie keep their budding relationship hidden from their close knit group of friends. 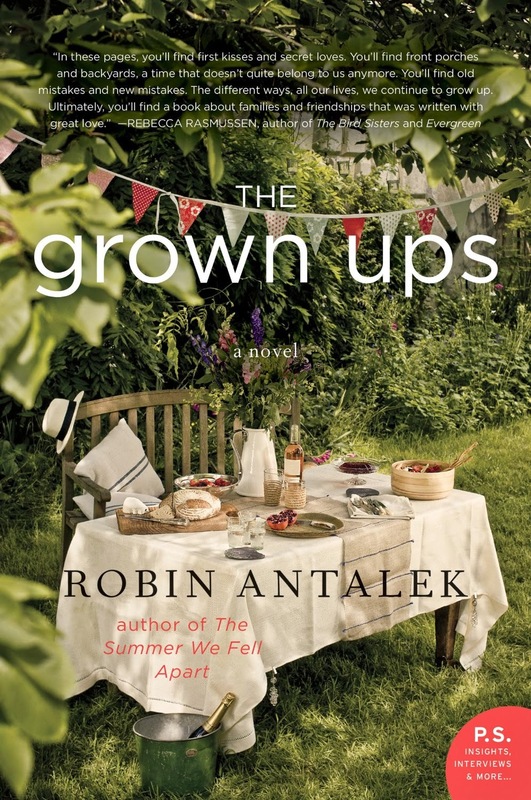 But as the summer ends, Sam’s world unexpectedly shatters twice: Suzie’s parents are moving to a new city to save their marriage, and his own mother has suddenly left the house, leaving Sam’s father alone to raise two sons. Watching as her parents’ marital troubles escalate, Suzie takes on the responsibility of raising her two younger brothers and plans an early escape to college and independence. 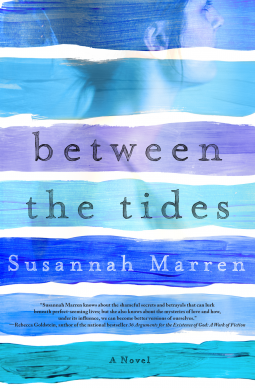 Though she thinks of Sam, she deeply misses her closest friend Bella, but makes no attempt to reconnect, embarrassed by the destructive wake of her parents as they left the only place Suzie called home. 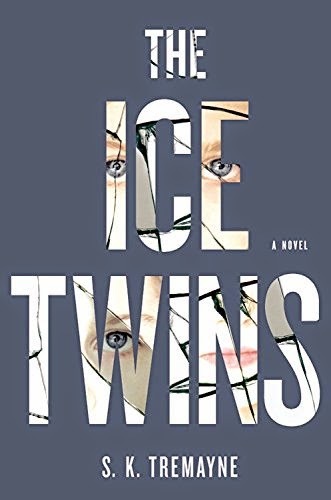 Years later, a chance meeting with Sam’s older brother will reunite her with both Sam and Bella—and force her to confront her past and her friends. I love coming of age books. And I love summer books and books told in alternating voices. So this one looks like it's for me. This was a long post today! I hope everyone has a great Mother's Day and a great week! Think of me as I learn to commute.